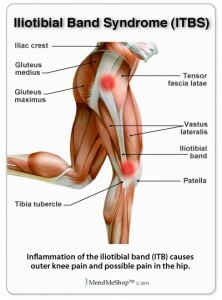 Iliotibial Band Syndrome:What is it? How to treat it. Iliotibial band syndrome (ITB) also know as runners knee is often referred to as an ‘over-use’ injury but in actual fact it is more than likely a lack of strength or flexibility issue or both. Pain occurs when the ITB becomes over tight and rubs over the femoral condyle, a bony mound just above the outside of the knee, when the knee is bent at around a 30 degree angle, as in cycling and running. The rubbing of the ITB over this condyle causes friction, micro trauma and inflammation resulting in pain. the pain is often felt about 5-10cm above the outside of the knee but if the ITB is tight it can be felt anywhere along the tract, above or below the knee. It can be an overuse problem but why if the pain is on one side and not the other? It is really down to a strength and/or flexibility issue. The TFL and ITB abduct the thigh, that is they move the leg outwards laterally and also internally rotate the hip with gluteus medius. If the TFL and ITB become too tight they inhibit glute medius and this is where the problems arise especially in running. When we are on one leg these muscles keep the pelvis level and prevent sideway rocking, so if the ITB becomes over tight it seems to inhibit glute medius which means that it has to work harder whilst glute medius has a sleep and gets weaker. In cycling these muscles also work to prevent the pelvis rocking. 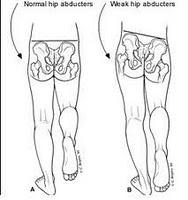 The ITB also works to decellerate adduction by preventing inward rotation of the hip and leg when it lands in running. This is quite a hard job for this muscle as it can help prevent over-pronation too and be involved in preventing foot problems. If the ITB is overtight or fatiguing easily and the glute medius isn’t helping the pelvis with be unstable and the foot may start over-pronating and cause foot, ankle and knee issues. If there is pain ice the area for 10 mins then off for 10mins and repeat, this will help reduce any inflammation and reduce pain. Stretch gluteus maximus as this feeds into the TFL. lay on back and hug involved knee to chest for 30s, repeat. Stretch quads at front of thigh. Strength, single leg 1/2 squats in the mirror making sure that pelvis is level 15×2. 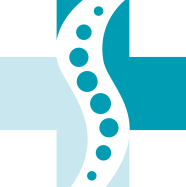 An osteopath will give you a full assessment, looking at leg length, running and walking gait, look for muscular imbalances ie weak or over tight muscles. Possibly ask to see your shoes and check your training programme and progress the above exercises. The treatment will include some soft tissue release techniques, stretching, possibly manipulation and maybe sport tape and acupuncture. 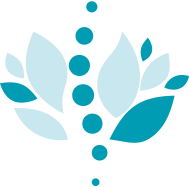 Please feel free to leave a comment at the end of this blog or call to book an appointment if you think you are in need of some treatment or further advice. Shoulder Impingement: What is it & how to treat it? How Can Osteopathic Treatment Can Help Asthma Suffers?